I can’t believe it’s already November 16th. A fair amount of Halloween decorations are still up which some of them could pass for Thanksgiving at least that’s what I keep telling myself. We still have some pumpkins, so you know…. Unfortunately, I don’t think there is a single room that is clean here and tons of dishes are piled up. (sigh) I spent about 15 mins on the computer this morning to find that my youngest had completely emptied the water container out in the fridge. I took it as an opportunity to clean out the fridge because everything needed taken out and dried off anyway, thus the overflow of dirty dishes. 😢 This in turn means I now have more trash bags to take out and, oh yeah, I started in on going through all the boys clothes to see what doesn’t fit anymore. I’m sure that our normal clearing out of some toys in preparation for Santa will be next on my things to do. Did I mention I had to get a new phone so I lost all my contacts and pictures? To add to all of this hubby’s Grandmother passed away Monday, or that’s when we were told about it. I’ve met her a few times, the kids have not but kept asking if it was their Grandma which then started a whole new conversation explaining that it was their Great Grandma. I decided it was a Harry Potter movie sort of day . 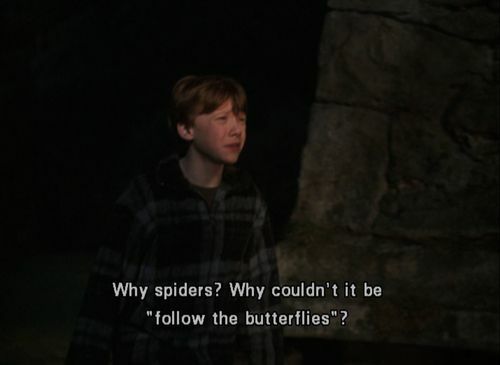 Harry Potter and the Chamber of Secrets, it was. I tried Harry Potter and the Sorcerer’s Stone but the only copy I could find had a crack in it. Luckily it was not my special edition with the extended scenes. Yes, I own several copies of the first few movies in this series. The kids have been watching them since they were little. They are usually a must on rainy days or when they aren’t feeling well. I think it’s about time to reread them too.